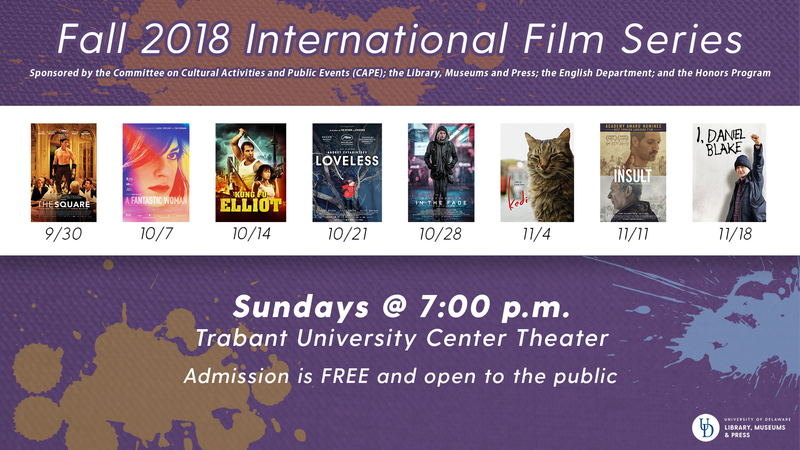 The University of Delaware Library, Museums and Press is cosponsoring the Fall 2018 International Film Series. Sunday, November 11th, INSULT will be shown at 7:00 p.m. in the Trabant University Center Theater. Admission is FREE and open to the public. All foreign-language films have subtitles. The International Film Series is made possible by the generous support of the UD Faculty Senate Committee on Cultural Activities and Public Events (CAPE), the UD Library, Museums and Press; the English Department; and the Honors Program. Please note: if you can't make it to the screenings, you can find these films available on DVD, Blu-ray, and / or streaming via the Film & Video Collection.